A film that tackles the tragic plight of massacred Caramoan miners becomes controversial for a bloody scene. On Monday, January 2, the Philippine Animal Welfare Society (PAWS) said that it would file charges against the team behind Oro, one of the entries in the Metro Manila Film Festival (MMFF), for slaughtering a dog. As the issue broke out, ABS-CBN News noted: "Oro—which tells the wrought-from-reality story about a barangay captain's attempt to defend a small mining community in Caramoan massacre from bandits—was said to have shown a dog being gutted as it was being prepared to be cooked." PAWS executive director Anna Cabrera said, "An animal was killed in making a movie and that is unacceptable, not just in law but also as a responsible filmmaker. No one should do this." Initially, Film Development Council of the Philippines (FDCP) chairperson Liza Diño released a statement saying they had summoned the Oro team after being clued in on the complaint over the dog slaughter scene. Diño said the representatives of Oro told her that "a goat was used and some prosthetics to make it look real." However, Diño later found out that the Oro people lied to her. According to Diño's January 3 Facebook post, the Oro team claimed that they did so "out of panic." Oro director Alvin Yapan told InterAksyon and other media that they recognize that they have "offended certain sensibilities which in this case are represented by PAWS." Yapan then explained that they came up with what he called a "compromise" to deal with the matter. This involves posting a warning or advisory outside of cinemas showing Oro, telling people that the film contains graphic material. The Oro team also agreed to "blacken" the scene showing the dog slaughter. However, Yapan reportedly lamented that "what is more sad is the fact that people are talking more about the dog’s slaughter rather than the film’s depiction of the four miners that were killed in the infamous Caramoan massacre." InterAksyon quoted Yapan as saying, "That is the message that we will continue to drive home. Whatever happened in that case? Is anybody asking about what happened to the four miners, their families, and the whole barangay? That should be the focus." As much as Yapan may want to move on from the dog slaughter incident, perhaps he has to accept the fact that it's a very disturbing issue that has provoked the public. In fact, one of the cast members of Oro, actress Japo Parcero, posted on Facebook her own account of the dog slaughter issue. Parcero revealed, "In fact, two dogs died, one accidentally and one deliberately. The production bought the first dog, and the owner, in his excitement to deliver the dog and receive his payment, tied the dog in a sack and unknowingly killed him by suffocation. The production, bent on shooting the scene which apparently was in the script, bought another dog for butchering." She added, "That night at the after party, the story relayed to me was that the actor was asked to bludgeon the dog to death. Someone said he was even reduced to tears by the end of the scene because he also didn't want to do it, he was just following directives. I also learned that there was a great delay to the shoot because the lead actress, after knowing what they planned to do, stood her ground and threatened to refuse shooting if they killed an animal." Parcero expressed her sentiments about the issue. "I was never afraid to speak out about my principles before. What's stopping me now? And then I was confronted by the real dilemma. On the one hand, I cannot let them get away with their crime. The utter disregard for an innocent creature's life was unforgivable. On the other hand, I also felt that Oro tells an important story that needs to be heard. The people of Gata never got the justice that they deserved and I felt that letting a national audience witness the impunity was an important battle to wage," she said. 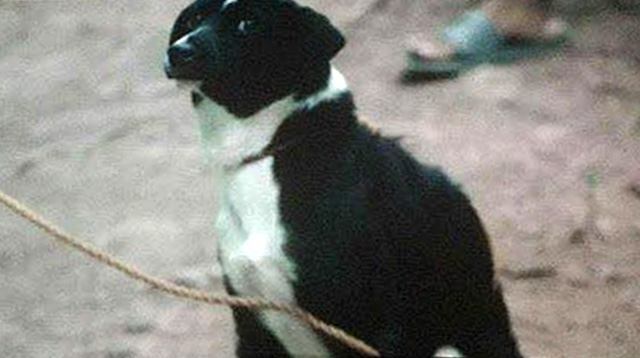 Parcero posted her account of the Oro dog slaughter controversy on Tuesday, January 3. As of 2:30 p.m. on Wednesday, January 4, the post has gotten over 7,000 shares and over 12,000 reactions.